Sub Rosa Curation and Boys & Girls Club are proud to announce “Rock for Rockwood,” a one-day music festival taking place Sunday, October 23rd, at 6:30 pm at Portland’s Revolution Hall. Featuring M. Ward, The Thermals, The Helio Sequence, and Emily Wells, this concert will serve as a fundraiser with proceeds going to the new Boys & Girls Club facility in Rockwood, OR. This should be a truly special event that will leave a lasting positive impact on the youth and families of our community. We’re harnessing the power of Portland’s amazing music community to raise money for a great cause. 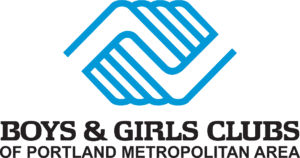 Proceeds from this event will be going towards the funding for a new $9.3 million Boys & Girls Club of Portland Metro in the east Multnomah County community of Rockwood. This state of the art facility couldn’t come at a better time for the youth of Rockwood, who in recent times have been impacted the most from Portland’s growth, rising costs of living, and gentrification. M. Ward, (10:00 – 11:00 pm) hailing from Portland, OR, is a singer-songwriter and producer. He has released a string of acclaimed solo albums over the past several years, along with five LPs with Zooey Deschanel as She & Him and a 2009 collaborative album with My Morning Jacket’s Jim James, Bright Eyes’ Conor Oberst and Mike Mogis under the moniker Monsters of Folk. In addition to his celebrated work as a musician, Ward is an accomplished producer, handling those duties for such luminaries as Mavis Staples, Jenny Lewis and more. The Thermals (8:45 – 9:30 pm) are a post-pop-punk trio from pre-Portlandia-Portland, they have toured the world and released 6 records to critical acclaim. The darlings of the Portland music scene have matured as musicians but will never grow out of that screechy fast paced pop punk, full of love, aggression, politics, and electric guitar that we know them for. Their latest LP “We Disappear” was released on Saddle Creek Records earlier this year. The Helio Sequence (7:45 – 8:30 pm) is another Pre-Portlandia staple and a Sub Pop gem taken out of our backyard, this time out of Beaverton, OR, a close suburb of Portland. This experimental alt-indie-rock duo has been tinkering, experimenting, and pushing the creative boundaries of their kaleidoscope rock for 20 years, along with recording and mixing the music of other notable musicians such as Shabbaz Palaces, Genders, Corrina Repp and many others. Emily Wells, (7:00 – 7:30 pm) although originally from Amarillo, TX, has strong ties to Portland and is a classically trained violinist and multi-instrumentalist that incorporates cellos, violas and analog synths into her merge of classical and hip-hop and “us[es] a series of live loops, sample pads and acoustic drums to make rich and haunting neo-gospel with layers of strings and vocal harmonies.” Having recently been a guest on Jimmy Fallon, she is on the verge of super-stardom.